Sustained Release Formula Protein Shake! 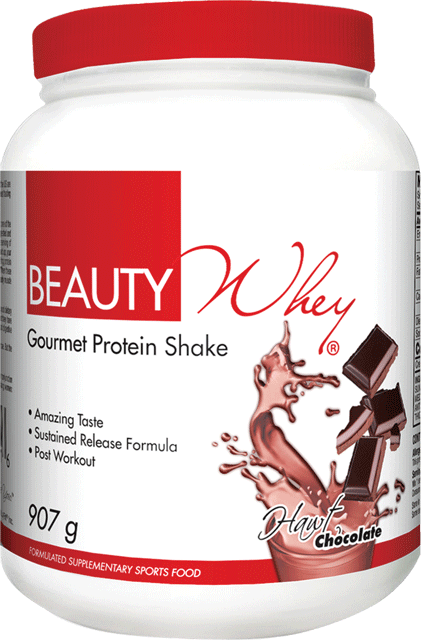 Gourmet Protein Shake: BeautyWhey is one of the most delicious protein shakes. drink just one serving and you'll see why top fitness competitors in the US are addicted to the taste. Yes, it's REALLY that good. Our food scientists worked for over 2 years engineering a formula that is both great tasting and great for you. Timed Release Formula: Ceramic micro-filtered whey protein isolate is one of the purest, and most potent proteins known to sports scientists. It is also one of the fastest-acting proteins ever discovered, which is why athletes use it every day. Typically, whey protein can be completely digested and ready to feed your body in 3 hours. For this reason we've included ceramic micro-filtered whey protein isolate in every serving of BeatuyWhey. This protein is great for supporting muscle replenishment straight after a workout. But when this protein is all used up, your body can slip into a "catabolic state". To correct this "fast in, fast out" problem, fortifying with an ultra-premium slow-digesting protein like micellar casein can be useful. This special super-protein digests over a 7-hour period, keeping your hungry muscles fed. when these two special protein sources are combined, you have a fast-digesting protein plus a slow-digesting protein which giver you steady muscle nourishment to support your natural muscle cycle. Breakthrough Technology: In a multiyear collaboration, BeatyFit's research team has worked with top protein manufacturers to find a way to stabilize good dietary fats within a powder form! After 2 years, a manufacturing breakthrough evolved and BeautyFit is proud to announce that they have developed an oil encapsulated inside caseinate protein. The caseinate shields the oil form the harsh acids of your stomach and digestive tract, and the innovative method makes it ideal for inclusion in protein powders. 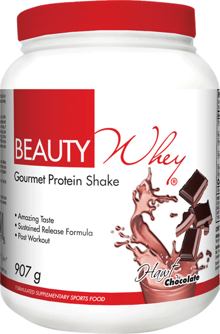 The combination of ingredients found in BeautyWhey can help to supplement the recovery of proteins utilized during exercise. But the best part is, it tastes absolutely delicious. Formulated Supplementary Sports Food: Not a sole source of nutrition and should be consumed in conjunction with a nutritious and varied diet. Should be consumed in conjunction with an appropriate physical training or exercise program. Not suitable for children under 15 years of age, pregnant or lactating women: Should only be used under medical or dietetic supervision. Gourmet Protein Shake.Gourmet Protein Shake. Sustained Release Formula.Sustained Release Formula.